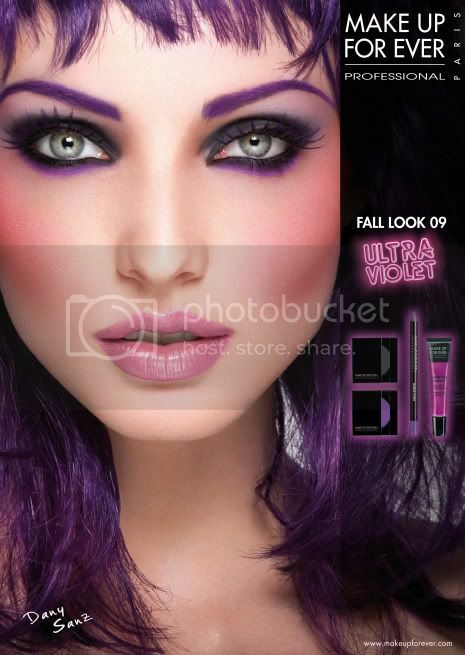 I noticed purple was big again this Fall, as it usually is, so I had a go at the gorgeous Danny Sanz Ultra Violet 09 look. 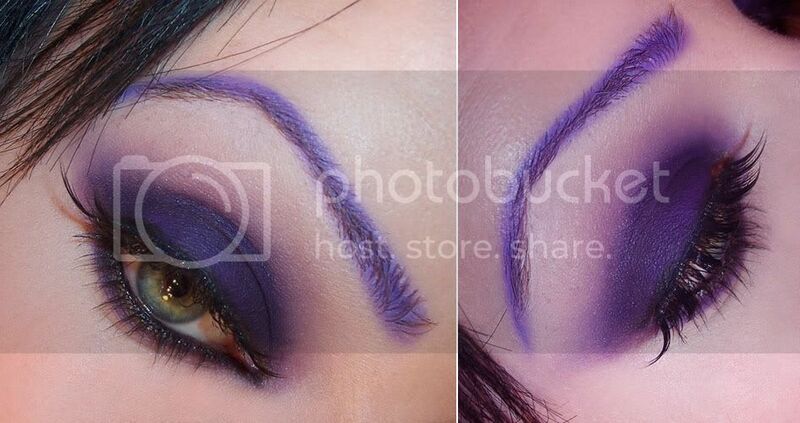 I applied MUFE #92 to my brows, and over a black base of MUFE Aqua Liner 01 on the lid. It photographed on the cool side, but looked much more true to color in real life. 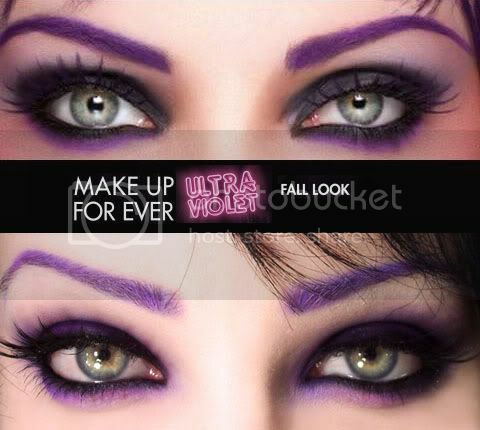 Skip the crazy brows and this would make a great smokey plum eye for Fall. 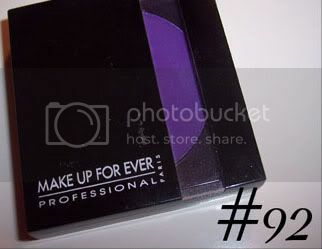 Make Up Forever Blush (no idea why they call it this) #92 is a cult favorite of Makeup Artists and consumers alike, and for a very good reason, it's the most amazing purple ever! 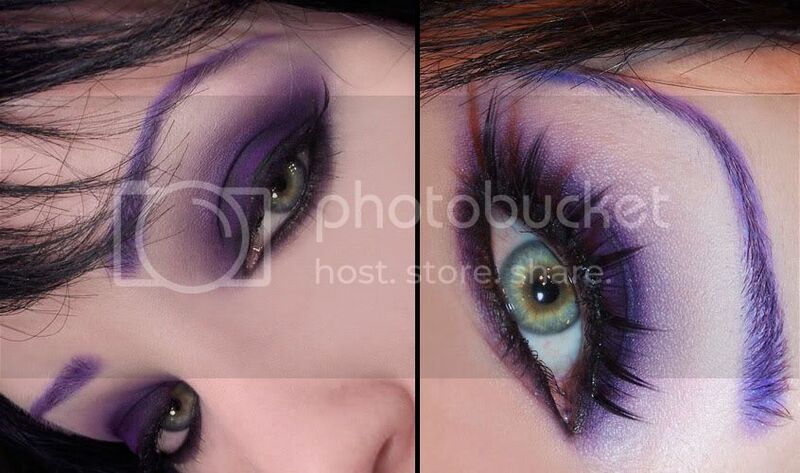 I use it in nearly every look that calls for the hue.